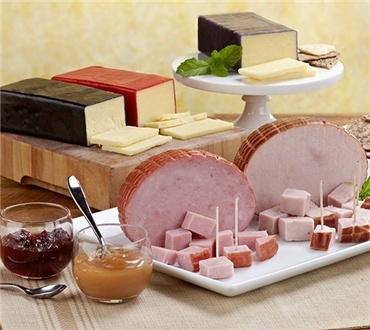 Simply slice and serve the amazing flavors of our cob-smoked meats and rich cheddar cheeses! Serve sweet chutney and zesty mustard on the side. Now offered in our maple-glazed and spiral-sliced variety for added convenience and flavor.